In the 1960s, 5,000 children were asked to draw a picture of a scientist - any scientist they wanted. 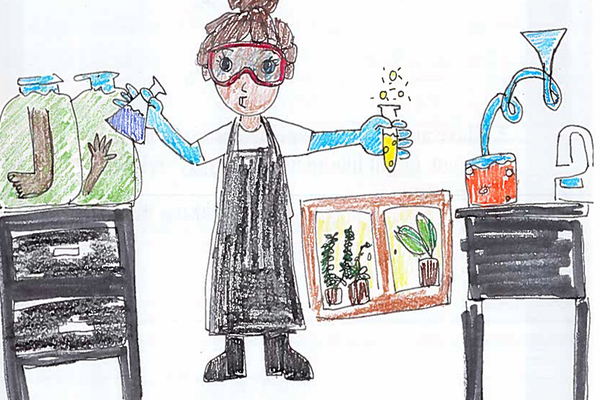 5,000 different drawings later, it was found that 99 percent of these children drew a male scientist, often garbed with frizzy hair, a dirty lab coat and an Erlenmeyer flask in their right hand. As a follow-up to the “Draw-a-Scientist” experiment, researchers from Northwestern University conducted the same experiment on March 31 to study the changes in the children’s drawings. On June 17th, STEAM for All had its first ever Kick Off Party at Garden Grove’s Main Library. Set up with a variety of STEAM-based activities, STEAM for All gave kids at the library an opportunity to learn and do each of the activities. 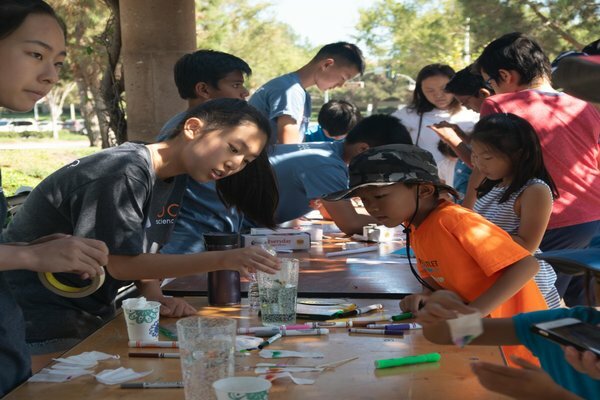 On Sept. 9, STEAM for All held its annual STEAM in the Park event from 2-4PM at Bill Barber Park in Irvine. OC Science hosted its first STEM Nigjt on June 16 at the Thomas House Family Shelter in Garden Grove. On Aug. 12, OC Science held their monthly science fun night at Northwood Ardent Academy. 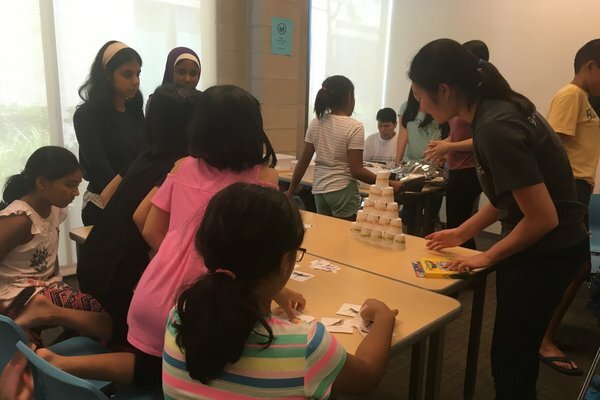 With this month’s theme centered around astronomy, the event was meant to expose and foster an interest in astronomy, a subject rarely covered in elementary science classes. 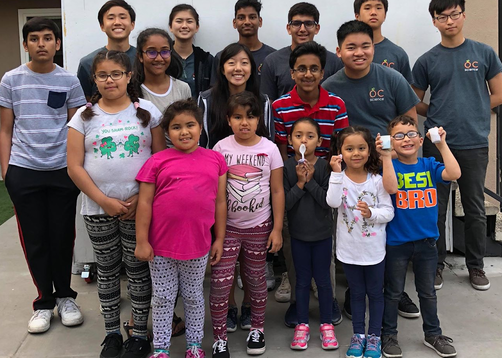 April 8th, 2018 marked the annual Orange County Science and Engineering Week (OCSEW) held in Newport Beach, California by non-profit organization, OC Science. OC Science held a July Fun Night event for students. The event centered around ecology. 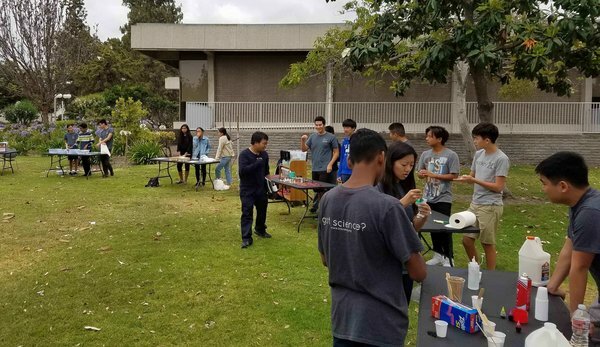 As part of the fourth annual Orange County Science and Engineering Week, Math for Service hosted the STEAM Scavenger Hunt on Sunday, April 8, 2018. At promptly 12:30 PM, the Sage Hill Wilkins Town Square area was filled with young students, bustling around to different interactive activity booths manipulated by volunteers from different Math for Service organizations.